After a whirlwind week at Google Cloud Next 2019, the Onix team has returned with plenty of insights to share. Our team joined clients, Googlers and new connections to celebrate a week of learning and major product announcements. Cloud Backup and Disaster Recovery: Are You Ready to Modernize? March Madness action is best enjoyed with others to “high five,” right? Cincinnatians, you’re in luck! As the official cloud provider for the NCAAⓇ, Google Cloud is hosting watch parties across the United States in cities not hosting games. Still relying on on-premise backup and disaster recovery services? It’s time to modernize. Check out these six reasons why you need to use cloud backup and disaster recovery to protect your critical data from loss and have 24/7 access to it. Is Your Organization Prepared for a Data Disaster and Recovery? Hardware failure is the leading cause of data loss leading to unplanned downtime. This can cost over $1 million per hour and take days or even weeks to remedy, causing significant loss of time. Keep your vital information protected. Things are Going Google in Cleveland today here at Onix. And...our President and CEO Tim Needles recently shared his thoughts about the future of cloud computing and the journey our clients take in an interview with Cleveland's WTAM radio. Ever wish you had some free time during the week to volunteer at your favorite charity? Our company’s culture focuses on stepping outside of our own front door and getting involved. That’s why each employee gets a paid Community Service Day. Can A Digital Workplace Boost Employee Engagement? When you have engaged employees, you also have motivated ones who are eager to contribute to the company’s success. One of the easiest ways to connect them and keep them interested is through a social intranet. What’s that, you ask? Hurley Medical Center has embraced a new way of working through cloud collaboration, moving to a more streamlined, productive and paperless environment. Google and Onix were there for every step of this transformative journey. Searching and gathering information can be a workplace’s worst enemy. Tracking down crucial company information is frustrating and time consuming. In fact, researchers who study worker productivity agree it’s a resource vampire. Maybe you’ve just launched your cloud journey. Or perhaps you’ve taken that first big step away from an on-premise environment. Either way, it’s never too late to harness the cloud’s power and transform the way your organization works. Henry David Thoreau knew what he was talking about when advising his readers to “Simplify. Simplify. Simplify.” When Google set out to develop a new OS, they introduced the next level of simplified workplace cloud collaboration with Chrome. From new partners and specializations to increased interest in cloud infrastructure and workplace cloud collaboration, we’ve shared the latest and greatest cloud news and trends here in the Onix blog. Is your data recoverable during unplanned downtime? Thanks to our new strategic partner, Actifio, the world’s leading enterprise Data-as-a-Service (DaaS) software provider, you don’t need to worry about data recovery and data accessibility. The road to enterprise search can be confusing and time-consuming often can be tough to navigate alone. From securing executive buy-in to getting ready for deployment, this handy “travel guide” will have you searching effectively in no time. Using the cloud for custom application development has proven to be a superior platform compared with traditional methods. Developers who embrace the cloud are leaders have moved beyond the curve and understand the future of cloud computing. Hello again, cloud friends! Scott Mabe here with a real horror story that many of you can relate to. There’s a ghost haunting your technology stack, creating horrific havoc. How? I like analogies, so I'm going to start with one to explain. The Search Journey: Are You Ready to Travel Toward Change? When it comes to all things search, Montreal was abuzz in October with the latest, greatest technologies. Why? Activate, the Search & AI Conference, brought Solr, LucidWorks Fusion machine learning and UX to Canada. Onix was part of it all. Avoid Lost Time and Productivity. Just Grab and Go Instead! Accidents happen. Spilled coffee on a keyboard. A forgotten laptop at a hotel. A computer that won’t boot up. Whatever the reason, a computer-less employee zaps productivity. That’s where Grab and Go loaners come into play and save the day. Congratulations to Steve Michaels from Orlando for submitting the winning caption to the September 2018 LOL with Onix cartoon. Steve played, won and received bragging rights among peers! Witness his creativity as well as others’ captions now. Onix Hits the Road for Google Cloud Summits. Join Us! While Google Next ‘18 is over, you can still share ideas and learn about all things Google Cloud. Google Cloud Summits deliver expert cloud infrastructure insights. And Onix is part of these immersive events. The last time we discussed Google Chrome here in the Onix blog, we looked at its speed. Now let’s talk security. Simply put...Google Chrome is secure. How secure? Here’s a look at how it provides some of the cloud’s tightest security. Education is a perfect setting for cloud-based solutions, especially for G Suite users. If you missed our recent webinar about how you can centralize and connect all stakeholders in one place using a social intranet, we’ve got you covered. Longtime IBM Notes users at Canam Group Inc. wanted to work better, smarter and more efficiently, particularly with a scattered, global workforce. But life on the IBM Notes platform hindered efforts at workplace cloud collaboration. ATB Financial’s Chief Transformation Officer, Wellington Holbrook, and leadership team had a big question: “How can we transform banking if we don’t transform the way we work?” The Edmonton, Alberta-based bank knew it was time for a change. Ohio Senior Executives: Connect with Google Cloud in Columbus! Ohio executives: Ready to learn more how the cloud can elevate your organization? Hold Sept. 13 on your calendar. Googlers are in Columbus that day to immerse senior managers and C-Suite leaders like you in the latest technologies. As computing systems and cloud infrastructure keep growing, it's critical that security and documentation don’t fall by the wayside. Throughout my career, I’ve had the pleasure of working with many different cloud contractors and developers. Cloud Fans Assemble: Cleveland AWS Meetup Wants You! If talking about cloud infrastructure with other Northeast Ohio techies gets you stoked, plan to join the new Cleveland AWS Meetup. This new group, focusing on the power of Amazon Web Services, will hold our first Meetup in September. Time’s up! The days for your Google Search Appliance (GSA) are numbered. Join Onix and Coveo on Wednesday, Aug. 1, for a 45-minute session to learn what it takes to migrate from the GSA before the expiration date arrives. The internet plays a huge role in today’s secondhand and auction markets. For Toronto-based online auctioneer MaxSold, cloud solutions improved infrastructure, eliminated data backup and recovery challenges and halted DoS website attacks. Congratulations to Debbie Rada from Lakewood, Ohio for submitting the winning caption to the July 2018 LOL with Onix cartoon. Debbie played, won and received bragging rights among peers! Witness her creativity as well as others’ captions now. Are you ready to score big? Don’t miss Onix at Google Cloud Next ‘18 to learn how we can help you build a winning cloud strategy that elevates your organization to the next level of productivity, collaboration, efficiency and success. Onix took its cloud solutions and enterprise search expertise on the road to Coveo Impact 2018 in San Francisco on June 6-8. Our team met with a sold-out crowd of more than 200 attendees at this event. Here are a few highlights. Whether you’re exploring the idea of deploying a social intranet in the cloud or you’re looking at new alternatives that pair with G Suite, there’s still time to check out our recent webinar to learn what’s right for your organization. Congratulations to Justyn Clevenger from Marysville, Ohio for submitting the winning caption to the June 2018 LOL with Onix cartoon. Justyn played, won and received bragging rights among peers! Witness his creativity as well as others’ captions now. When you visit ISTE 2018, the “epicenter of EdTech” next month in Chicago, you’ll discover how the latest in transformative learning tools can change what you do. These include cloud computing solutions for education from Onix. Banking customers need to find the nearest branch or ATM on the go. So, isn’t it time your financial institution explores the latest in location-based services? We’re here to help you do that at Digital Banking 2018. You have the right infrastructure strategy, but what about safeguarding your data in the enterprise so that it’s always on and accessible? It’s time to learn more by immersing yourself in two days of all things data at Actifio Data Driven 2018. A couple of months ago, I introduced you to Google Chrome OS and why today’s businesses can benefit from migrating away from Microsoft Windows. Now let’s examine the first of Chrome’s pillars, speed, and what it means for your enterprise. Onix has delivered 15+ years of unparalleled enterprise search experience to its clients. Now, as a key sponsor for the 2nd Annual Coveo Impact in San Francisco, we’ll share this expertise with IT pros from across the world. Are you one of them? Is your organization ready to join the revolution and start on its own cloud journey? If you live in or around Montreal, you can learn how to take the first steps to elevating your organization to the next level with Google Cloud Platform. Hey Milwaukee ... Let’s Meetup for Google Cloud Platform! Got cloud computing in Milwaukee? Or are you thinking about a Google Cloud Platform transformation? We have a new Meetup for you. Mix, mingle and learn with other IT pros, Googlers and Onix cloud solutions experts in this GCP-focused group. Congratulations to Mike Lockwood from Marysville, Ohio for submitting the winning caption to the May 2018 LOL with Onix cartoon. Mike played, won and received bragging rights among peers! Witness his creativity as well as others’ captions now. Did you know Chrome and Microsoft Edge don’t support Java, ActiveX controls, toolbars, VBScript and other common legacy apps used on many business websites? So what’s an enterprise to do? Start considering custom app development. Government officials at the federal, state and local levels, if you weren’t sure you could deploy Google Cloud Platform within your organization because of security concerns, we have some great news for you. FedRAMP has deemed it secure. The New Google Maps Platform: What Does It All Mean? Is It Time to Migrate to Google Cloud Platform? From a keen understanding of how to interconnect networks to building bulletproof security and access management protocols, experienced partners know that infrastructure dictates the entire Google Cloud Platform deployment process. We are pleased to announce Onix's Cloud Consulting practice has achieved the Google Cloud Infrastructure Partner Specialization. Our team has proven its expertise in building solutions in the infrastructure field using Google Cloud Platform. The Social Intranet: Is It Right for Your Organization? Social. Mobile. Smart. That’s how LumApps describes the intranets it builds for Google’s G Suite. If you’ve contemplated building a social intranet at your organization, it’s time to learn more. We have the perfect webinar for you. What happens when you get nearly 5,000 global visitors together to explore the latest in assistive technology and practical solutions for people with disabilities in educational, workplace and social settings? Motivation and brain power. Next Columbus Meetup Set for May 10. Join Us! Looking for like-minded individuals to talk about life in the Google cloud in Columbus, Ohio? This perfect Columbus meetup group helps you elevate your business to the next level of productivity, collaboration, efficiency and success. Do you have your GSA replacement lined up? The gold standard of enterprise search, Google Search Appliance, is reaching end of life in 2019. Now is the time to start thinking about your next solution so you can make a seamless transition. Got cloud collaboration? Onix does, and we can show you why elevating your organization to the cloud will help you reach new levels of productivity, efficiency and success. Come see for yourself at Salesforce World Tour Toronto on May 3. LAKEWOOD, OHIO – Onix has expanded its enterprise search offerings to elevate customers to the next level of efficiency and success by joining forces with Coveo Solutions Inc., a leader in artificial intelligence (AI)-powered search and relevance. Congratulations to Errol Sigler from Portland, OR for submitting the winning caption to the April 2018 LOL with Onix cartoon. Errol played, won and received bragging rights among peers! Witness his creativity as well as others’ captions now. Need Google Cloud Platform Help, Columbus? It's Here! Got data? You’ve come to the right Meetup! This Columbus, Ohio group focuses on the power of Google Cloud Platform (GCP) and how it elevates businesses to the next level. Don’t miss our next gathering with Google experts on March 29. Isn’t It Time You Offer Online Document Accessibility? You’ve built the perfect website with great design and compelling content. But can visitors using assistive technology access this information? Do you offer document accessibility for PDF files housed there so all visitors can view them? Increasingly more employees wake up, shower, pour a cup of caffeinated goodness and go to work — in the next room. But, are they logging into G Suite productivity tools to stay connected, or are they feeling excluded from key HQ happenings? Want a deeper understanding of the G Suite Admin Console so you can better manage daily activities in a G Suite environment? Our G Suite Admin Boot Camp gives you hands-on experience to prepare for the Google Certified Administrator exam. Personal injury law firm Cannon & Dunphy continually faced unacceptable server downtime and inaccessible data. Leadership sought reliable cloud computing infrastructure to keep sensitive client information at the legal staff’s fingertips. A research laboratory lacked a disaster recovery plan and high data availability in the event of a network outage. Because of the nature of its work, the lab required a reliable cloud solution now, not in the middle of a data emergency. What if I said it’s possible to seamlessly connect your company’s devices to the cloud under a single, secure operating system — from employee laptops, desktops and mobile phones to video conferencing to digital signage to whiteboards? How Do I Build a Solid Enterprise Search Business Case? All companies have a digital search problem, even yours. It’s not that you don’t have enough information. There’s plenty out there. But, locating it takes time and effort. In fact, think back to the last time you needed to find something. Your servers are dedicated, but that doesn't mean you have to be. They can be costly, unreliable and high maintenance. Who needs that? Not your company. Why not resolve to break up with your servers and give cloud solutions a try in 2018? Onix Insights covers the hot tech news. Our Top 10 2017 technology articles examined enterprise search, web accessibility and cloud computing innovation. Even our Google G Suite award, new Toronto office and 25th anniversary made the list! Congratulations to Peggy Booth from Orlando, FL for submitting the winning caption to the January 2018 LOL with Onix cartoon. Peggy played, won and received bragging rights among peers! Witness her creativity as well as others’ captions now. A new year brings fresh predictions for what lies ahead in the business. Cloud computing is no exception. As 2017 wraps up, our cloud experts gazed into their cloud crystal balls to share what they expect to see happening digitally in 2018. Does your corporation deal with huge volumes of data stored in multiple repositories making information retrieval complicated and frustrating? Onix can help you make a viable business case to help your company solve your search challenges. Congratulations to Regis Garrity from Westlake, OH for submitting the winning caption to the December 2017 LOL with Onix cartoon. Regis played, won and received bragging rights among peers! Witness his creativity as well as others’ captions now. Congratulations to Alice Augustine from Thousand Oaks, CA for submitting the winning caption to the November 2017 LOL with Onix cartoon. She played, won and received bragging rights among peers! Witness her creativity as well as others' captions now. Google Cloud recently announced a partnership with Puppet that gives enterprise teams a faster way to deploy applications in the cloud. The partnership will let users reduce IT costs and enjoy GCP services like data analytics capabilities. Onix hosted a Google Cloud executive dinner at Harry & Izzy’s in Indianapolis on November 30, 2017. Google and Onix — Google Cloud Premier Partner — discussed the future of Cloud and how to drive enterprise digital transformation. Team members from Onix’s Toronto office recently used their annual volunteer day to help Habitat for Humanity Greater Toronto Area with their Pinery Trail project. The project’s goal is to provide townhome-style housing for 50 families. All organizations have location data, and usually a lot of it! This might include information such as fleet driving logs, field reports from the outside sales staff or receipts from business trips and other meetings. Onix search experts joined Lucidworks to speak at the Enterprise Search & Discovery Conference in Washington, DC. Now in its 14th year, this is the only conference dedicated to this critical business and technical challenge. Onix hosted our annual 2017 Syzygy event to align our customers, partners and guests for discussions, collaboration and fun! We rolled out the red carpet to celebrate our 25th anniversary. See our top ten list from this memorable event! Congratulations to Kelly Hastings from Philadelphia, PA for submitting the winning caption to the October 2017 LOL with Onix cartoon. Kelly played, won and received bragging rights among peers! Witness his creativity as well as others’ captions now. The Google Cloud Summit came to Toronto on Tuesday, October 17, 2017 bringing together executives, customers, partners, developers, industry innovators and Google engineers to imagine, learn and build the future of the cloud. Dropbox recently hosted their Connect events in San Francisco and New York City! Local IT leaders attended these events along with Dropbox and top partner Onix to help connect with business leaders — and propel their business ahead. Congratulations to Randy Allan from Toronto, ON for submitting the winning caption to the September 2017 LOL with Onix cartoon. Randy played, won and received bragging rights among peers! Witness his creativity as well as others’ captions now. Onix is proud to be a Lucidworks partner and sponsor of Lucene/Solr Revolution 2017, the biggest open source conference dedicated to Apache Lucene/Solr. The conference will be packed with technical sessions, developer content, and user case studies. Onix and Google Cloud at the Toronto Google Office! Onix and Google hosted an event at the Google Office in Toronto on August 15, 2017. At our event we explored how Google Cloud is helping companies like yours innovate to address large scale technology and business challenges. Google Event Detroit: Night at the Ballpark with Google Cloud! Onix and Google hosted a Detroit Tigers suite on September 19, 2017. At the event guests had the opportunity to discuss digital transformation and cloud strategies with Onix, the Google Cloud team and other local organizations. Onix and Dropbox hosted guests at a Cleveland Indians game on August 22, 2017. Dropbox covered best practices when implementing a secure strategic collaboration tool for your team. While the weather wasn’t the greatest, the conversation was. The Google Cloud Summit was held in Chicago on Wednesday, September 27, 2017 to bring together executives, customers, partners, developers, industry innovators and Google engineers to imagine, learn and build the future of the cloud. Artificial intelligence is making its way into everything, and search is no exception. In fact, the term enterprise search is going by the wayside. Gartner calls it "insight engines" and Forrester calls it "cognitive search and knowledge discovery." Congratulations to Todd Ferguson from Los Angeles, CA for submitting the winning caption to the August 2017 LOL with Onix cartoon. He played, won and received bragging rights among peers! Witness his creativity as well as others' captions now. Onix joined Dropbox at their booth at BbWorld 2017 in New Orleans, Louisiana on July 25-27, 2017 to come together with education leaders to exchange ideas, share best practices and address today's toughest educational challenges. The Google Cloud Summit was held in New York on Tuesday, July 18, 2017 bringing together executives, customers, partners, developers, industry innovators and Google engineers to imagine, learn and build the future of the cloud. Congratulations to Andy Haaf from Georgetown, TX for submitting the winning caption to the July 2017 LOL with Onix cartoon. He played, won and received bragging rights among peers! Witness his creativity as well as others' captions now. Onix and our partner Dropbox hosted a dinner event at Girl & the Goat on August 10, 2017. Dropbox adoption and growth is significant at companies like yours. Dropbox can address your technology and business challenges. Onix and our partner Dropbox hosted a suite at a Pittsburgh Pirates game on July 19, 2017! At our event Dropbox discussed industry trends and best practices when pulling a secure strategic collaboration tool into an enterprise environment. Congratulations to Shirish Joshi from Dublin, OH for submitting the winning caption to the June 2017 LOL with Onix cartoon. Shirish played, won and received bragging rights among peers! Witness his creativity as well as others’ captions now. Google Cloud Next World Tour in Washington D.C.
LAKEWOOD, OH – Onix, a leading technology product and solutions provider, announced that the company will now offer services and consulting to transportation companies and carriers that are impacted by the electronic logging device (ELD) rule. You may have heard an interesting speculation at the Forbes CIO summit in April; Google Cloud, specifically Google Cloud Platform (GCP), is expected to surpass Amazon Web Services (AWS) in the public cloud space in the next five years. Onix and Google hosted an exclusive executive dinner at Mitchell’s Steakhouse on June 13, 2017. IT leaders in the Columbus area explored how Google Cloud is helping companies innovate to address large scale technology and business challenges. Employees can’t find data 44 percent of the time. If your workforce easily found information, your organization would not only increase employee productivity, but could also save tens of thousands of hours and millions of dollars per year. Congratulations to Dennis Waite from Lorain, OH for submitting the winning caption to the May 2017 LOL with Onix cartoon. He played, won and received bragging rights among peers! Witness his creativity as well as others’ captions now. Google continues to address the robust cloud security and compliance needs of today’s IT leaders. To remain a top competitor in the cloud computing space, Google announced new security features for the Google Cloud Platform and G Suite. It was Henry Ford who said “Coming together is a beginning, staying together is progress and working together is success.” To win in today’s marketplace, you must create an environment of collaboration and innovation for your employees. To expand on the white paper Cut Waste and Improve Product Development Processes, Onix spoke with Hannes Rau, Stryker Instruments' Manager of New Product Development Systems, who recently led an enterprise search implementation. Manufacturing competition is fierce. To win you need to accelerate speed to market, ensure product quality and increase productivity. Yet, inefficiencies lie within your product development processes that may threaten your success. LAKEWOOD, OH – Onix, a top Google Cloud Premier Partner reselling the entire Google Cloud portfolio, announced today that the company is a Gold Sponsor of the inaugural Medical Capital Innovation Competition. LAKEWOOD, OH — Onix was recently named as one of the “100 Companies That Matter in Knowledge Management 2017” by KMWorld Magazine. The list recognizes companies that help customers turn vast amounts of data into actionable, usable knowledge. Google Event Cleveland! Night out at the Ballpark with Google Cloud. Google and Onix hosted our Cleveland Indians suite on May 16, 2017. Guests witnessed the 2016 American League Champions — along with the Onix team, the 2016 North American Google Cloud Partner of the Year for G Suite — together in one ballpark! San Jose, CA – Sureline Systems, a leader in enterprise-class physical and virtual server, cloud, and container migration and disaster recovery software solutions today formally announced a strategic technology partnership agreement with Onix. Onix, along with executives from Google Cloud and MESA International, hosted a webinar for manufacturing leaders who desire to utilize Industry 4.0 principles to differentiate their products and gain additional market share. Ever wonder how competitors are beating you to market with innovative, quality products? This video explores the insidious inefficiencies that may lie within your product development process that can be disrupting and impeding your success. Manufacturers are sitting on massive stores of product development data, which resides in disparate systems within organizations. Engineers are wasting time looking in multiple places for this data to support the product development process. Business leaders are well aware that cloud-based operating models are a must to prepare for new opportunities in the digital business era. Google hosted Google Next ‘17 in an effort to gather the foremost minds leading the cloud revolution. Manufacturers need to differentiate themselves to prevent the commoditization of their products and services. Innovation processes can produce this advantage, but as the Industry 4.0 era continues, they must adapt to prevent its erosion. 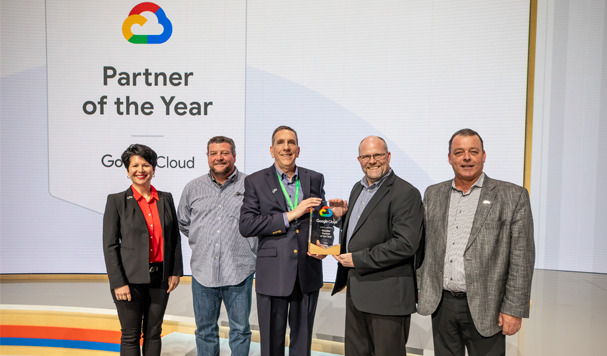 Award Recognizes Onix’s Commitment to Going Above and Beyond for Customers LAKEWOOD, OH — Onix today announced that it has received the Google Cloud 2016 North American Partner Award for G Suite Customer Success. Congratulations to Mukesh Rao from Bothell, WA for submitting the winning caption to the March 2017 LOL with Onix cartoon. Mukesh played, won and received bragging rights among peers! Witness his creativity as well as others’ captions now. Congratulations to Carlos Ortiz from Chicago, IL for submitting the winning caption to the February 2017 LOL with Onix cartoon. Carlos played, won and received bragging rights among peers! Witness Carlos' creativity as well as others' captions now. LAKEWOOD, OH – Onix introduces PDF conversion services as an extension of its PDF conversion software, Equidox by Onix™. Organizations can now outsource the cumbersome task of converting PDFs into accessible web content to Onix experts. LAKEWOOD, OH – Onix joins executives from Google Cloud and MESA International to offer a complimentary webcast for manufacturers who want to use Industry 4.0 principles to differentiate their products and gain market share. Access our webinar dedicated to manufacturing innovation for growing companies. You’ll learn strategies from Google, MESA and Onix that will help you create the culture of innovation your organization needs to succeed in the marketplace. Congratulations to Chris Tindira from Mt. Airy, NC for submitting the winning caption to the January 2017 LOL with Onix cartoon. Chris played, won and received bragging rights among peers! Witness Chris' creativity as well as others' captions now. Here is a list of the top 10 technology articles published right here on Onix Insights. The most popular stories covered topics ranging from enterprise search to web accessibility to innovation through cloud computing and so much more. The enterprise search market is in a period of great transition. To better understand the trends driving the industry to a whole new place, Onix video interviewed its Search Engagement Manager — Bryan McKay — at the KMWorld conference. Congratulations to John Rizzo from Shaker Heights, OH for submitting the winning caption to the December LOL with Onix cartoon. He played, won and received bragging rights among peers! Witness his creativity as well as others' captions now. Webinar Now Available On Demand LAKEWOOD, OH - Onix recently hosted a webinar focusing on how organizations can easily transition from the Google Search Appliance (GSA) to next generation enterprise search solutions. We want to bring you the top five takeaways and key learning opportunities from our recent Google event in the New York Google office. Participants joined Onix and Google and saw what it was like to be a “Googler for a Day”. The HIV/AIDS epidemic continues to affect Kenya’s population. The United Nations Programme on HIV/AIDS (UNAIDS) needed a seamless digital business platform in the HIV Situation Room in Kenya to compile data and assign resources effectively. COMIC: Tame Your Grading Beast with this Grading App! Can you relate to these educators? The educators in this comic strip correct the same writing mistakes over and over, and they spend countless hours grading assignments. See how GradeOn!, a new grading app, can help tame the grading beast! Congratulations to Ron Samson from Ewing, NJ for submitting the winning caption to the November 2016 LOL with Onix cartoon. He played, won and received bragging rights among peers! Witness his creativity as well as others' captions now. “The cloud debate is over,” declared global management consulting firm McKinsey & Co in a recent report. Companies are moving significant portions of their IT workloads to the cloud in an effort to reduce time to market and improve quality. LAKEWOOD, OH – Onix hosted a live, complimentary webinar titled, “Migrating from the Google Search Appliance? Get the Blueprint from a Google Search Veteran” on Thursday, Nov. 3 from 2:00 p.m. to 3:00 p.m. EDT. Watch it on demand now. Working collaboratively today is essential. Instead of email attachments, with Google Drive you can quickly share files and folders — or easily add them to a Gmail message. Google Drive provides a richer, more efficient user experience. Congratulations to Melissa Brady from Denver, CO for submitting the winning caption to the October 2016 LOL with Onix cartoon. She played, won and received bragging rights among peers! Witness her creativity as well as others' captions now. Could the cloud be more secure than data centers? For companies considering a workload migration to the cloud, security is always critical. Google security experts addressed these concerns during a recent roundtable. Congratulations to Pat Spears from Lovettsville, VA for submitting the winning caption to the September 2016 LOL With Onix cartoon. She played, won and received bragging rights among peers! Witness her creativity as well as others' captions now. Seeking to evaluate how organizations access knowledge using search solutions to find data and uncover new insights, Mindbreeze commissioned the Forrester Consulting report: Let Modern Search Solutions be “The Brains” of Your Organization. Google’s choice to discontinue the Google Search Appliance and innovate in the cloud for an enterprise search solution aligns with its strategy and goals. But for GSA users, the switch brings questions. Will we stay with the appliance. . . ? Congratulations to Helen Tyler from Euclid, OH. She played, won and received bragging rights among peers! Witness her creativity as well as others' captions now. Congratulations to Gresham Andrews from Scotts Valley, CA for submitting the winning caption to the July 2016 LOL with Onix cartoon. He played, won and received bragging rights among peers! Witness her creativity as well as others’ captions now. As cloud adoption grows, insecurity about cloud IT security persists, in many cases inhibiting optimal performance. Fortunately the opposite also is true: companies with high trust in the cloud outperform less-trusting peers on multiple measures. Companies that tread lightly with cloud computing technology could be at a disadvantage. This study by the Economist Intelligence Unit suggests that organizations which demonstrate a high level of trust in cloud computing perform better financially. Online retailers are looking for ways to reduce shopping cart abandonment. To cut down on shoppers leaving while items remain in the cart, savvy retailers are adopting data visualization tools including the Google Places Autocomplete API. LAKEWOOD, OH – July 7, 2016 – Nearly 1 billion people worldwide live with some form of disability. Many organizations are making their web content accessible to this audience by conforming to WCAG 2.0 AA — the W3C’s standard for web accessibility. Booking flights with Swiss International Airlines will become easier for passengers with disabilities. That’s because the airline made its website fully accessible to blind and visually impaired visitors and users with other physical limitations. Congratulations to Mary Kasik from Cleveland, OH for submitting the winning caption to the June 2016 LOL with Onix cartoon. She played, won and received bragging rights among peers! Witness her creativity as well as others’ captions now. It’s a cartoon caption contest that will give you a little comic relief from your daily grind. We draw the cartoons. You write the appropriate, lighthearted captions. The winning caption will be featured on the Onix website and newsletter. Complexity in the online checkout process leads to shopping cart abandonment. That’s when customers put items in their online shopping carts but leave before completing the purchase. So what steps should retailers take to reduce abandonment? By 2020, digital video will likely surpass television in popularity, predicted YouTube Chief Business Officer Robert Kyncl earlier this year. While online video viewership grows, access for people with disabilities lags behind even television. Google for Work and Onix held an event at a Cleveland Indians suite on June 2, 2016. We had a great group come out to network and talk about Google Apps for Work including our customer Garland Industries. Watch our video to see a short event recap! Smartphone Accessibility Is Not So Smart. . . Yet! Israeli nonprofit Beit Issie Shapiro and hands-free tech developer Sesame Enable are working to change that, developing smartphones that motor-impaired users can operate with head movements rather than voice or touch commands. Cloud computing is the framework behind many of the technologies we use daily. Mobile apps, streaming content and SaaS solutions are just three examples. But the cloud is also a key enabler in the quest to find cures for devastating diseases. The Data Breach Threat: Will You Be Reactive or Proactive? It’s a harsh reality: attackers of corporate IT change their tactics every day. The bad guys are one step ahead, becoming more clever all the time. We’re forced to catch up. Let’s examine ways you can proactively reduce your risk of a data breach. Since its early years, the NFL has emphasized fan engagement and accessibility. Innovations such as “Monday Night Football” and Super Bowl halftime shows have helped the league surpass baseball as the nation’s most popular sport. Congratulations to Joressia Boyer from Midlothian, VA for submitting the winning caption to the May 2016 LOL with Onix cartoon. She played, won and received bragging rights among peers! Witness her creativity as well as others’ captions now. Retailers that want to deliver seamless and satisfying shopper experiences across channels need to first build a robust digital culture internally, according to Drea Alphonso, a program manager for Google. LAKEWOOD, OH - May 16, 2016 – Onix announced the launch of a new product. Opprove by Onix is an easy-to-use workflow process tool that allows Google Apps for Work users to create a workflow without requiring programming skills or other IT support. You know lean manufacturing tools eliminate sources of waste. But it may come as a surprise that enterprise search reduces re-work, parts proliferation and more. Browse these resources to see how accessible data can help you along your lean journey. Webinar: Using Cloud Computing for Faster Discovery: How the NIA took Parkinson’s Research to the Cloud. Our customer the National Institute on Aging (NIH/NIA) will discuss a Parkinson's study they performed on Google Cloud. Congratulations to Cindy Carty from Cleveland, OH for submitting the winning caption to the April 2016 LOL with Onix cartoon. She played, won and received bragging rights among peers! Witness her creativity as well as others’ captions now. “If you’re ready to transfer data from spreadsheets, forms and tables to an interactive map, you’ve come to the right place,” said Mike Sliwka, Geospatial Engineer at Onix and David Bryson, Solutions Engineer with CartoDB in a recent webinar. I was exploring the new Onix website, finding many tools to help me succeed on my technology journey. Many found me, and won a $10 Starbucks eGift. Congratulations! LAKEWOOD, OH. — May 2, 2016 — Onix announces the launch of its new website www.onixnet.com. Onix launched the new website to provide visitors with more relevant and easy-to-find information about the ever-changing technology landscape. LAKEWOOD, OH – April 19, 2016 – Onix has announced a partnership with Mindbreeze to provide enterprise search solutions. Mindbreeze products make finding relevant information from corporate data and the Internet both fast and intuitive. With today’s technology, you have access to more data than ever before. To be competitive, it is critical to compare, analyze and relate all of this information. Visualizing data on a map is one way to make trends and insights jump off the page. LAKEWOOD, OHIO - March 22, 2016 — Google Enterprise has named Onix its 2015 North America Partner of the Year for G Suite. The award was presented at Teamwork, Google’s Global Partner Summit in Las Vegas, NV. Welcome to Onix's Visual Communications content hub. We've compiled all our materials into one place for your convenience. With this information you can navigate through the dizzying array of digital signage options available in the market. Mobility and the cloud rank as the most critical technologies in the workplace today. They also transform the role of the CIO as IT becomes a strategic partner in the business and shifts from enforcer to enabler. Read and boost innovation. Congratulations to Fran Reddick from Willoughby, OH for submitting the winning caption to the March 2016 LOL with Onix cartoon. She played, won and received bragging rights among peers! Witness her creativity as well as others’ captions now. Steve Holly, Onix’s solutions engineering director, provides insights into the latest in visual communications: Google and Onix’s turnkey digital signage solution. You’ll see how it enables simple, secure and budget friendly digital signs. If you're using SAP BusinessObjects or other ERP system, then you have a lot of data that can help you make informed decisions. Find out how to empower anyone in your organization to easily map that information and surface unique insights. Congratulations to Amy Rhoades from Cleveland, OH for submitting the winning caption to the February 2016 LOL with Onix cartoon. Witness her creativity firsthand, read all the other captions submitted for this cartoon too and LOL With Onix! The W3C Web Accessibility Initiative established a set of guidelines titled WCAG 2.0 in response to regulations legally mandating organizations to make online content accessible to people with hearing, cognitive and visual impairments. The development pace of collaborative yet powerful technology is fast. Executives feel the need to adopt and equip their workforce with technology that’s built for their business, but also has their teams in mind. See how Google is responding. New app enhancements were released last week for Microsoft Office 365 and Google Apps for Work. James A. Martin, the author of CIO.com's Living the Tech Life Blog, reviewed both and declared Google Apps the winner of real time collaboration. Happy New Year and congratulations to Jose Pagan of Cleveland, OH who submitted the winning caption to the January 2016 LOL with Onix cartoon. Way to kick off the year! See his winning caption along with other submissions. LAKEWOOD, OHIO - Jan. 28, 2016 - Google’s Federal Risk and Authorization Management Program (FedRAMP) designation allows U.S. government agencies to use Google Cloud PaaS and SaaS products (Google Apps, Apps Unlimited and App Engine). An estimated 11 percent of undergraduate students on campuses today have a disability which keeps them from viewing or interacting with certain web content. Ensuring that these students have equal access to technology is a complex challenge. Congratulations to Sara Smith of Cleveland, OH who submitted the winning caption to the December 2015 LOL with Onix cartoon! Now it's time to get back to work like these busy little elves. Check out the winning caption and other entries. Maps can take your business information — things like sales data, customer location, vendor location — and transform it into not just business intelligence, but location intelligence — to be understood more quickly, thoroughly and easily. Congratulations to Susan Bushman from Nekoosa, WI who submitted the winning caption to the October 2015 LOL with Onix cartoon! Who doesn't love a good monkey cartoon, right? See her winning caption as well as other submissions. "Hip, hip hooray for Onix..." by Michael DeAloia, The Plain Dealer's "Tech Czar," congratulated Onix on its surge of revenue and employee growth. The article highlighted Onix's partnership with Google in both enterprise and government markets. To better understand how gOptix by Onix™ can help evaluate your company’s usage of the Google Apps suite, watch this demonstration video. It is time to replace guessing, hunches and standard Google Apps reporting with a customized interface. In the recent CIO.com article Office 365 Fails at Collaboration, InfoWorld executive editor Galen Gruman reviews Microsoft 365 and calls into question its collaboration functionality. But collaboration is key to your organization's success. Recently, Wall Street Journal personal tech columnist Geoffrey Fowler put Microsoft Office 2016 head-to-head against Google Docs to determine a champ when it comes to real-time collaboration. He found that MS Office can’t keep up. Executives want tools that help employees get more done. That’s why more than 5 million organizations have chosen to leverage Google Apps to store and share data in the cloud and, ultimately, boost collaboration, productivity and innovation. LAKEWOOD, OH - Oct. 15, 2015 —– Onix launched an application called, gOptix by Onix™, which monitors Google Apps usage across an organization. With gOptix, leaders can accelerate adoption and achieve quicker and higher returns on the technology. LAKEWOOD, OHIO - Sept. 24, 2015 - Onix ranks among the world’s Top 100 Cloud Service Providers (CSPs), according to Penton’s fifth-annual Talkin’ Cloud 100 report. The list is based on survey data and input from Penton Technology’s Channel editors. This customer success story features ARI, a fleet management services company that, after implementing a vendor management dashboard with CMaps Analytics with SAP BusinessObjects, saw increased sales for vendors and reduced costs for customers. LAKEWOOD, OH — Aug. 27, 2015 — A mere one in seven new product initiatives launch successfully according to Booz Allen Hamilton. A new white paper makes it clear that product development inefficiencies are disrupting manufacturers' success. Eighty percent of all business data — including the data in your SAP BusinessObjects software — has a geographic attribute. As the volume of location-enriched data increases, so does the demand to use this information for decision making. In this video interview from Klaus Welte, Vice President of Global R&D, you can learn how enterprise search is helping Stryker Instruments save time, eliminate duplication, ramp up a dynamic workforce and return $4 for every $1 invested. Congratulations to Susan Bushman from Nekoosa, WI who submitted the winning caption to the July 2015 LOL with Onix cartoon. We hope she’s having a better day than this guy. See her winning caption as well as others submitted this month. Challenged with locating data and experiencing redundant rework and product duplication, Stryker Instruments — a global medical device company — turned to an enterprise search solution for help. The VP of R&D provides insights in this video. LAKEWOOD, OH — June 29, 2015 — Onix’s John Lawler has earned the Digital Signage Certified Expert (DSCE) designation from the Digital Signage Experts Group. The certification empowers Lawler to help customers meet their digital signage goals. Onix caught up with Michael Walton, Head of Google Manufacturing, at a recent event to talk about the engineering challenges companies face when searching for data. In this video Michael presents recommendations for how to overcome them. LAKEWOOD, OH — June 15, 2015 — Congratulations to Onix’s Mike Pierce, who participated in the Bass Classic held by the United Way of Youngstown and the Mahoning Valley. He and his Pro partner, Austin Dunlap, finished 6th among 28 pro/am teams. Transforming Your Business? Subscribe To Case In Point. You’re busier than ever and bombarded with information 24x7x365. In order to be successful, you need to filter through all the clutter and quickly find ideas and tools that can transform your business and ultimately, boost your bottom line. Some of the most common questions that Google gets from CEOs are: How does Google innovate? Can innovation be planned? Can it be taught? There is no secret formula, but this perspective shares Google’s innovation principles. Survey! Weigh In about Google Apps and Enter to Win! Cloud computing continues to grow rapidly. In fact, 70% of businesses are either using or investigating cloud computing solutions. Leaders plan to increase cloud budgets by 50% this year. It's safe to say that cloud computing is here to stay. Sometime in the last decade, we crossed into a fresh phase of the digital era. A new generation of organizations born in the cloud — like Airbnb, Snapchat, Uber and Zillow — are using entirely new business models to disrupt the status quo. Manufacturers are under continuous pressure to decrease time to market. Knowledge workers who drive initiatives must have instant access to data across their enterprises. Yet, for most information is scattered among disparate repositories. In order to win in today’s hyper-competitive marketplace, business leaders must cultivate an engaged, productive and collaborative workforce. Yet, a mere 13 percent of today’s employees are engaged in their jobs according to Gallup research. With an annual growth rate of 6.1% per year, the digital signage market is projected to reach $20 billion in volume by 2020. This amazing growth has spawned new technologies that help communicators interact with audiences like never before. Last week, we looked at how a pharmaceutical manufacturer is using G Suite to improve collaboration, reduce costs and streamline projects. Today, we’ll look at another manufacturer that is an innovator in their industry. LAKEWOOD, OHIO - April 27, 2015 - Onix Founder and CEO Tim Needles spoke to students and young professionals about working in the technology industry at the IT Speed Networking event hosted by OHTec (Ohio Technology Consortium) on April 15. “Sign, sign, everywhere a sign...” The Five Man Electrical Band must have seen into the future when they wrote that line in their song “Signs”. Everywhere you look today there are bright, colorful digital signs advertising the latest offers. Building on Google’s recent white paper series on the Drive for Innovation in the modern workplace, let’s explore how an Onix customer is putting these principles to work to help improve collaboration, reduce costs and streamline projects. Today's business leader is a technologist, choosing the best tools to innovate in a hyper-competitive, data-driven market. More than 80 percent of CEOs identify technological advances as the number one trend transforming businesses globally. What if you could make people as productive at work as they are in their personal lives? Perhaps that sounds a little funny. But we live in “the new digital age” — an age that is naturally mobile, connected and collaborative. Chances are, you’ve heard of some of the incredible benefits of digital signage. The opportunity to increase sales, improve workplace safety and inspire disengaged employees through electronic signs can ultimately boost your bottom line. Congratulations to Steve Schildwachter from Chicago, IL for submitting the winning caption to the March 2015 LOL with Onix cartoon! No doubt his colleagues are impressed with his comedic skills. See Steve's creativity and other peer captions now. LAKEWOOD, OH - March 16, 2015 - Google and Onix recapped the Digital Signage Expo in a Google Hangout. Attendees heard the latest news, technologies and tools presented at DSE 2015 and asked experts questions. View the recording. While a busy schedule or limited budget may have kept you from attending Digital Signage Expo 2015 (DSE), you don’t have to miss the latest industry news, technologies and tools. Google and Onix recapped the conference in a Google Hangout. This article explores the early stages of cloud adoption — investigation and experimentation. During these phases, organizations test the waters in an attempt to determine if the cloud is a good fit without requiring significant investment. Data security has been a hot topic recently as more big name organizations report costly data breaches. Target, Home Depot, and Adobe are among several billion dollar corporations to lose sensitive data at the hands of cyber criminals. Many think the digital workplace is being able to work on multiple platforms; mobile devices, handheld tablets, and different computer operating systems. But it is so much more than that. It is truly changing how companies conduct business. LAKEWOOD, OH - Dec. 2, 2014 - Onix launches Equidox™, which converts PDFs to HTML that is compliant with Web Content Accessibility Guidelines as required by the Americans with Disabilities Act and other government Acts around the world. LAKEWOOD, OH - Nov. 6, 2014 - Onix ranks among the world’s Top 100 Cloud Service Providers, according to the fourth-annual Talkin’ Cloud 100 report. The Top 100 CSPs generated more than $23.4 billion in combined cloud services revenues in 2013. LAKEWOOD, OH - Oct. 30, 2014 - Onix has become Centigon Solutions’ first Platinum partner. Centigon Solutions, a provider of mapping extensions for SAP, has expanded its presence to the Google Maps for Work ecosystem with CMaps Analytics. LAKEWOOD, OH - Sept. 30, 2014 - Onix will be holding a two-day training class that will provide attendees with a deeper understanding of the Google Apps Admin Console and prepare them to take the Google Apps Certified Administrator exam. LAKEWOOD, OH - Aug. 13, 2014 - Onix is now a provider of Chromebox for meetings, Google’s video conferencing hardware and software offering. Chromebox for meetings uses Google+ Hangouts and includes all the hardware, software and services. LAKEWOOD, OH - Aug. 11, 2014 - Onix deployed the University of Notre Dame faculty and staff to Google Apps for Education on Tuesday, June 17. Faculty and staff are now joining Notre Dame students who have been using Google Apps since 2008. Onix Acquires Capital Technology Partners, Inc.
LAKEWOOD, OH - July 8, 2014 - Onix acquired Capital Technology Partners, Inc. (CT Partners) of Ontario, Canada. CT Partners’ expertise with both Google Search Appliance and product development will contribute toward Onix’s technology offerings. LAKEWOOD, OH - April 23, 2014 - Onix was named Best IT Services Company 2014 by the Northeast Ohio Software Association (“NEOSA”), COSE’s technology network of nearly 900 technology companies. The award was presented at a dinner on April 17. LAKEWOOD, OH - March 18, 2014 - Google Enterprise named Onix as the 2013 Global Partner of the Year for Search and also North American Partner of the Year for Search. The awards were presented at the Google Enterprise Global Partner Summit. LAKEWOOD, OH - July 25, 2013 - Onix was awarded a 2012 Total Cost of Ownership (TCOO) Supplier Award from its customer — Celestica. The awards program recognizes suppliers that demonstrate excellence in quality, technology and service. With a goal to reduce infrastructure and improve collaboration, Canadian Broadcasting Corporation moved to Google Apps. Google Apps was the right solution based on cost, proven service level and availability guarantee and so much more. Drive for Work Labs... Transforming Your Business! Google has recently rebranded its corporate division as Google for Work, communicating to companies worldwide that they are adjusting the Corporate Google offering to be tailored more to solutions that meet the needs of organizations today. Information is the center of organizational activities. But what if information is inaccessible to a certain group of users? Facing moral obligations and potential government fines, organizations are looking for ways to create accessible content. As more companies embrace Google Apps, we are seeing a surge in demand for custom applications. Companies are realizing the potential within the Google Cloud Platform. One common requests we get is for a standard email signature creator tool. The invasion of technology into the classroom at all levels of education continues unabated. With this infusion of technology into the classroom, the job duties of a CIO or IT director of an education institution have exploded exponentially. By next year, the internet will connect more than 2.5 billion people and 15 billion devices. That’s almost three devices per person. Hosting that data is a money pit. And if your servers go down, your backups better be up to date and intact. It is not enough these days for IT to deploy the best cloud computing tools to the organization. Today, the business units are introduced much earlier in the deployment process, and not just as a pilot or a project for early adopters. It’s an exciting time to be working in IT. Everyday, new technologies seem to hit the headlines, giving us new ways to accomplish goals. But this is huge! Google has a brand new offering for Enterprise customers: Google Apps Unlimited. Software development is an exacting process. One inherent risk is building an application that does not meet the customer’s expectations. In order to minimize this risk, a methodology needs to be in place to drive successful project results. Congratulations! You've Gone Google. Now What? Your project team has successfully accomplished the task of migrating to Google Apps; congratulations! While moving your infrastructure into the cloud is a great achievement, getting your users to adopt the new tools can be a task of its own.